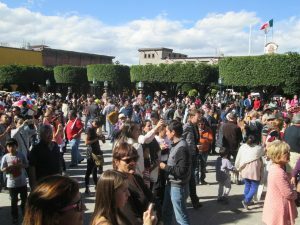 If you had been here in San Miguel de Allende, Mexico, yesterday with me, you would have seen and perhaps played a part in a demonstration held in the afternoon near the Jardin (central square) in front of the towering Parroquia church. We held up a big banner reading “No Al Muro” (No to the Wall), as well as lots of signs, in both English and Spanish, such as: “Bridges, not Walls,” “Not My President,” “Viva Mexico,” and “Solidaridad!” (solidarity). My fellow-demonstrators seemed to me to be a lot like me: retirement age and grateful to be living in a place where the people are tolerant and embracing, where our retirement savings and Social Security checks go much farther than they would in the U.S., where the weather is sunny most days, and everything one looks at is colorful and beautiful. 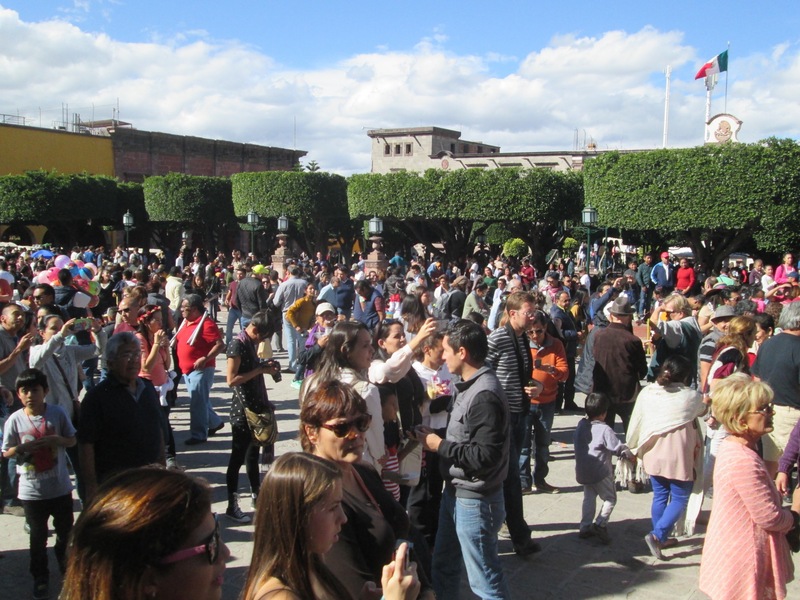 As U.S. citizens in Mexico we are outraged by the recent election of Donald Trump as President of the United States. We loudly declare that Donald Trump lost the popular vote and was deceitful and dishonest during the election process and therefore has lost any legitimacy. We stand together to share our concern about how this Presidency will impact the Mexican People here and in the United States. We are also concerned with the destruction of the Earth’s environment and the loss of safety net programs in the United States. We continue to be gravely concerned with the racism and xenophobia so prominent in his election campaign. This does not represent the values we and most U.S.-ians hold. 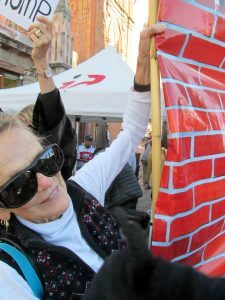 And it is an insult to our neighbors here in Mexico who so warmly welcomed us to their country. 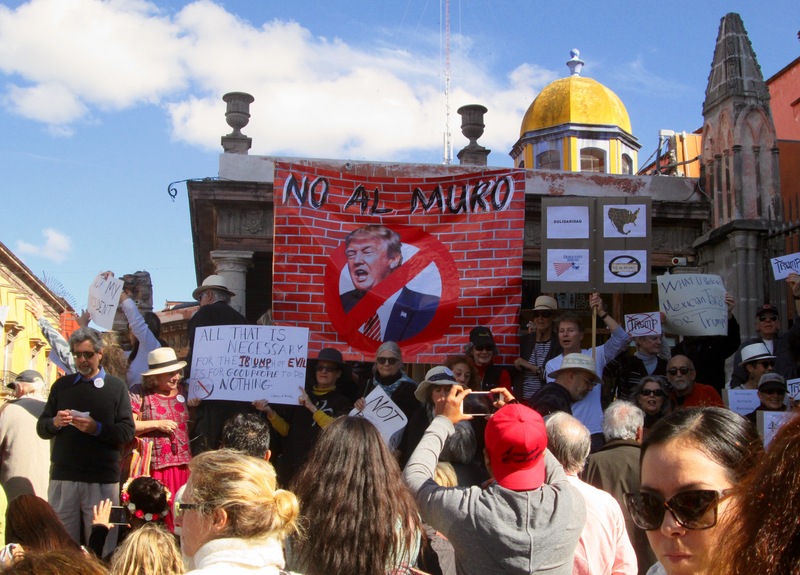 We call on all conscientious U.S. citizens in San Miguel to take a strong stand for wisdom, tolerance and understanding in the days ahead. We pledge our all to defend the Earth and all of its peoples with compassion and love during the coming dark days. Viva Mexico, Viva USA and Viva North America, of which we are all a part. Remember, for evil to triumph, it is only necessary for good people to do nothing. It felt good to do something – instead of just anguishing — to take a stand with other caring, well-meaning Americans who are intent on building bridges instead of walls. I wish you could have been there with me.